← A cri de coeur, or a confession. The latest creation of our very own, much beloved Piano Extremist. Take a listen to this soulful piece and a moment to send out a thought and a prayer to all those who have died fighting for Ukraine, and who today are still in heated battle for our freedom and independence, and support them in every way possible. 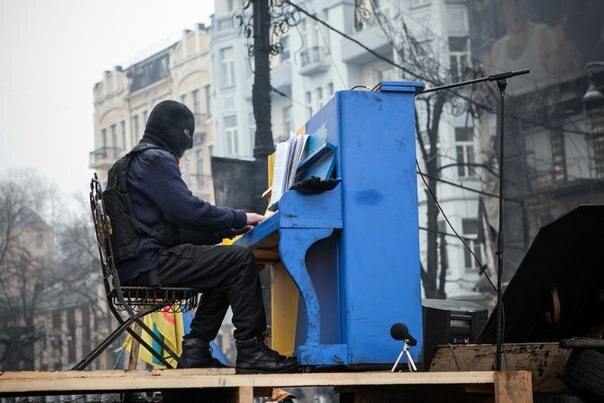 This entry was posted in "Voices" in English, Art, English, English News, Video, War in Donbas and tagged #FreeSavchenko, #RussiaInvadedUkraine, #StopRussianAggression, #UkraineUnderAttack, ATO, Heroes, Piano Extremist, Ukraine. Bookmark the permalink. Beautiful music. I hope peaceful sovereignty returns to the Ukraine soon. so do we all! thank you Brighton!